What good is a great content marketing effort if Google doesn’t know it exists? That was largely the problem that Crews Control faced and Multiverse solved. Crews Control is a worldwide video crew and equipment supplier for Fortune 500 companies that was looking to step up their online visibility to get more clients. Their business model of providing people with video crews and video equipment in various cities across the world made it hard to rank in those places without having an office. It was going to take some technical expertise to be able to solve this problem! Crews Control had been doing content marketing for some time, but they had no one who knew how to optimize their content. This means that Google had no idea what their photos or videos were and they weren’t targeting the right keywords with their content. They were building a giant archive of content that was not serving them or their business, and they were leaving lots of potential rankings on the table because of it. While Crews Control still wanted to create all of their own original content, they needed someone to clean up the SEO mess that had been made and to help teach them better practices for optimization of their content. That way their content marketing would help propel their site up in the rankings and continually build them a better foundation for obtaining better rankings in the future. Crews Control already had a lot of content on their site, so once we were able to go through and optimize their website their SEO rankings shot up quickly. 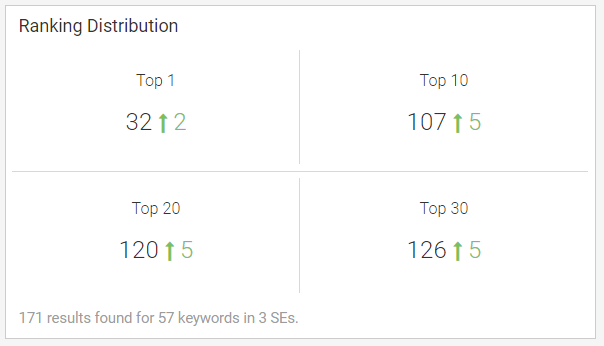 These results came from a combination of the website redesign, SEO revamp, and continual online marketing that will only get better over time. 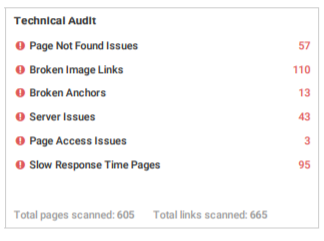 Reduced SEO issues from 300+ to 0! Explanation of this Graph: This shows all our keywords we were tracking for Crews Control. 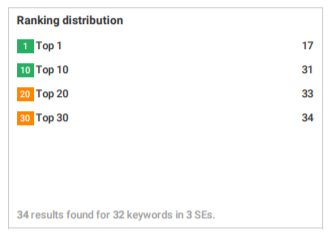 At the beginning most keywords were not ranked in the top 3 pages of search results (brown line), and over time more became ranked in all categories. Crews Control creates all of their own original content, and while we occasionally provide guidance throughout the process we mainly serve as a technical specialist and adviser. Crews Control is a leader in their field and is continually building upon that solid foundation with their content marketing strategy. We continue to help guide Crews Control as they work to establish themselves as the #1 preferred video crew provider worldwide.